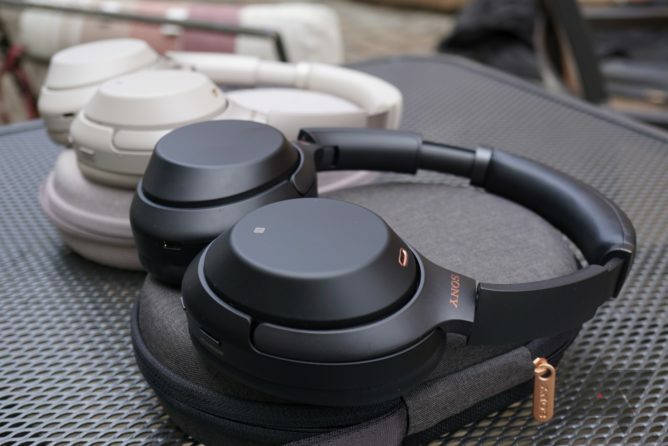 In today’s $350 wireless, ANC-equipped over-ear headphones space, there are two primary competitors: Bose’s QuietComfort 35 II and Sony’s WH-1000XM3. Bose has long been championed as the king of the segment by many, but it seems impossible to talk about the QC35 II these days without someone butting in about how the identically-priced 1000XM3 is superior. After some time with the 1000XM3, I understand why everyone has been talking about them. 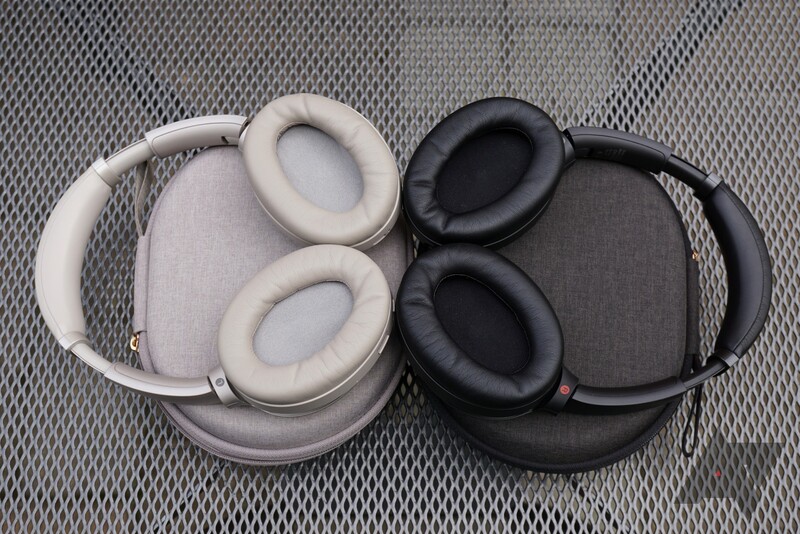 I personally find the 1000XM3 to be a unique-looking, but handsome set of headphones. 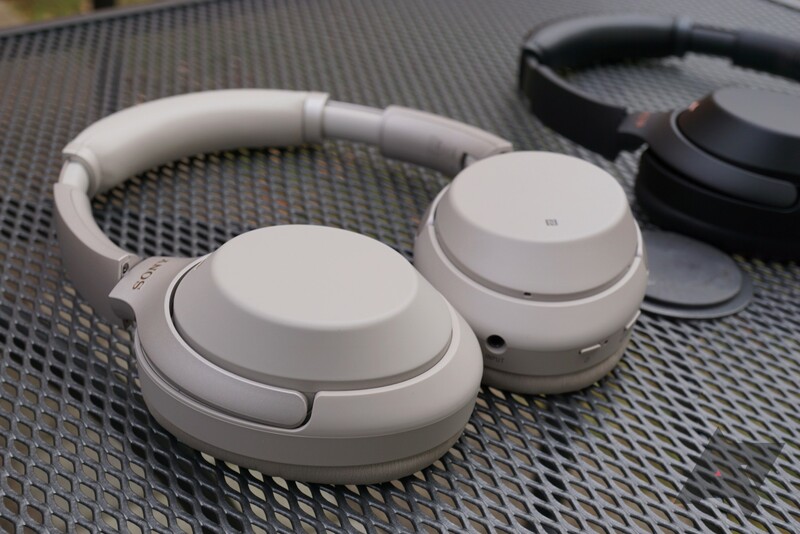 The flat sides of the ear cups, which are necessary for the touchpad controls, make the headphones look futuristic in a way. 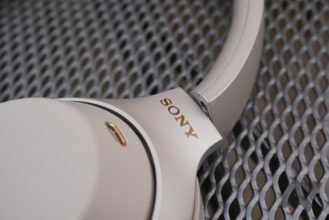 I also find the colored accents on the subtle Sony logos and dual microphone surrounds (gold on the silver model, copper on the black model) pretty tasteful. 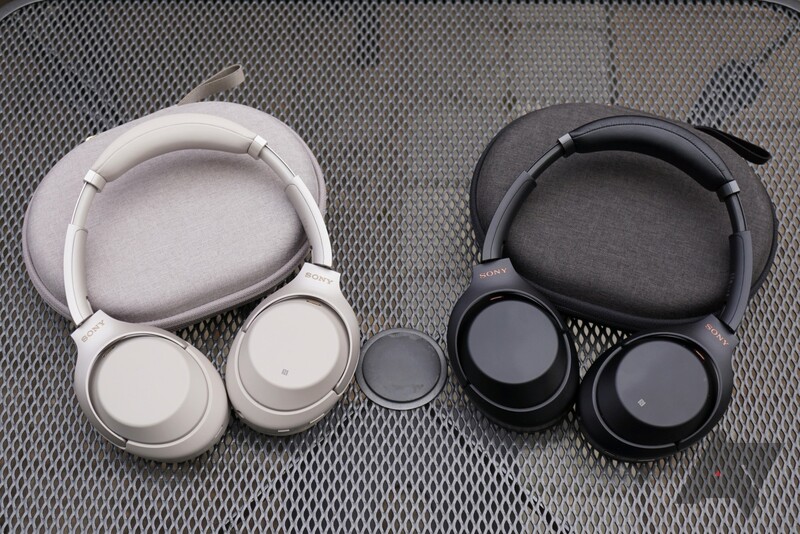 Whereas the QC35 II looks like any other set of Bose headphones, the 1000XM3’s design makes it instantly recognizable as a member of the active noise cancellation-equipped 1000X line. It’s available in silver (which looks more like a light gold to me) and black. Build quality is pretty great. The construction is mostly plastic, but that’s true of any headphones for weight/comfort reasons. Nonetheless, the 1000XM3 never feel cheap when I pick them up or put them on. The cups have a smooth, soft-touch texture, and there’s a nice blend between matte and shiny surfaces throughout the design. I’ve been using the silver ones for about six weeks now, and there are no blemishes or defects whatsoever. The black ones have a couple of scratches, but I haven’t been using those. At 254g, the 1000XM3 is a bit heavier than the 234g QC35 II, but the weight difference is barely noticeable at best when the headphones are being worn. Although most people who’ve used both find the QC35 II to be more comfortable, I found the opposite to be true. The QC35 II’s ear cups were constantly squeezing my (quite large) head, making them pretty tiring to wear for long periods. 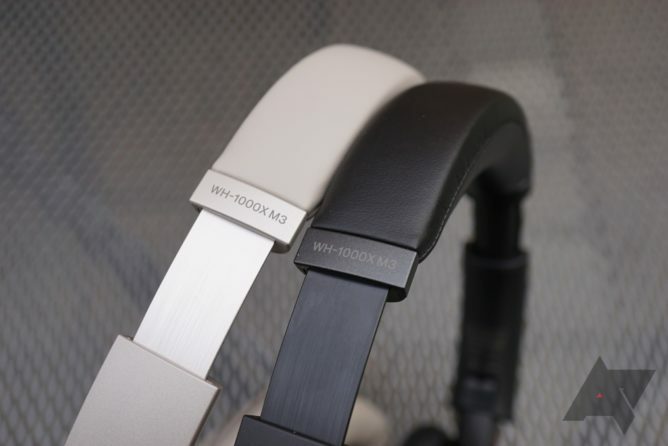 The 1000XM3 has a looser fit, which I think is more suitable for headphones of this category. Your ears might get a bit hot while using the Sony headphones, which may or may not be a big deal. I recommend testing the headphones’ fit out in person before making a decision; while I find the 1000XM3 more comfortable than the QC35 II, plenty of others have experienced the opposite. The touch controls are pretty intuitive: double-tap to play/pause, swipe forward/backward to skip/rewind tracks, swipe up/down to adjust volume, swipe forward/backward and hold to fast-forward/reverse, and hold the entire pad with your palm to temporarily disable the noise cancellation (nifty). The fast-forwarding works in some apps that I’ve tried (Netflix, Hulu), but not others (Spotify, Play Music, YouTube). However, the swipes/taps are pretty unreliable and often won’t be recognized for whatever reason — I’d say they work about 75% of the time. I’ve also noticed that the controls tend to go berserk when I have the headphones around my neck and look down due to my chin hitting the touchpad. It seems that extreme cold temperatures can have the same effect, which could be an issue for some. This reportedly only occurs when transitioning from the warm to the cold, and may be resolvable with a software update. 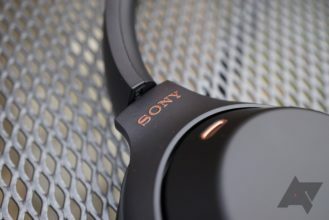 Sony rates the 1000XM3’s battery life at 30 hours with ANC on, or 38 with ANC off. Given that the QC35 II is rated at 20 hours with ANC on, this is pretty impressive. It’s next to impossible to verify that figure, what with all the variation in different usage scenarios, but I will say that the headphones do last extremely long. A full charge takes three hours, though 10 minutes of charging will give you five hours of playback. And yes, these headphones do use USB Type-C, which the QC35 II does not. 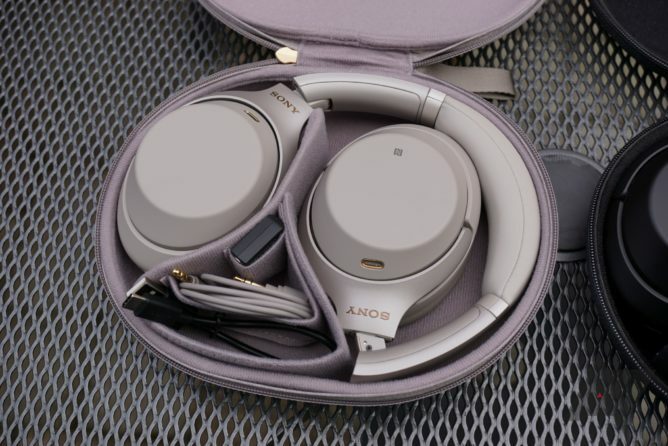 The headphones with a nice fabric carrying case that is color-matched to the headphones. The case has a sectioned-off area designed for the included USB-C cable, the 3.5mm cable, and a plug adapter for airplane use, as well as a pocket on the back to fit whatever else you need. My primary reason for purchasing the 1000XM3 was the QC35 II’s sound quality, which I was just a bit disappointed by. Everything I’ve read online says that the 1000XM3 sounds noticeably better than the QC35 II, and my ears agree with that consensus. The 1000XM3 produces very clear sound, and it performs fantastically in the mids and highs. The bass is strong, and Sony’s companion app includes a customizable equalizer with a ton of presets and a couple of custom options that allow you to fine-tune the sound. There are even surround-sound options, like Concert Hall, Arena, Club, and more. Plus, “Sound Position Control” lets you effectively move where the sound is coming from, so if you’re talking to someone on your right, you can move it to the left. The QC35 II’s soundstage isn’t as vivid, and its companion app doesn’t offer nearly as much customization. Sony wins in this regard with ease. The 1000XM3’s noise cancellation is excellent. Personally, I can’t notice much of a difference between the QC35 II and 1000XM3 in terms of ANC — both are top-notch and will basically cause the background to fade away. Whether I was walking in an urban environment or sitting on an airplane, the 1000XM3 never ceased to amaze in terms of just how much noise it blocked out. left: The noise cancellation slider. right: Adaptive Sound Control. 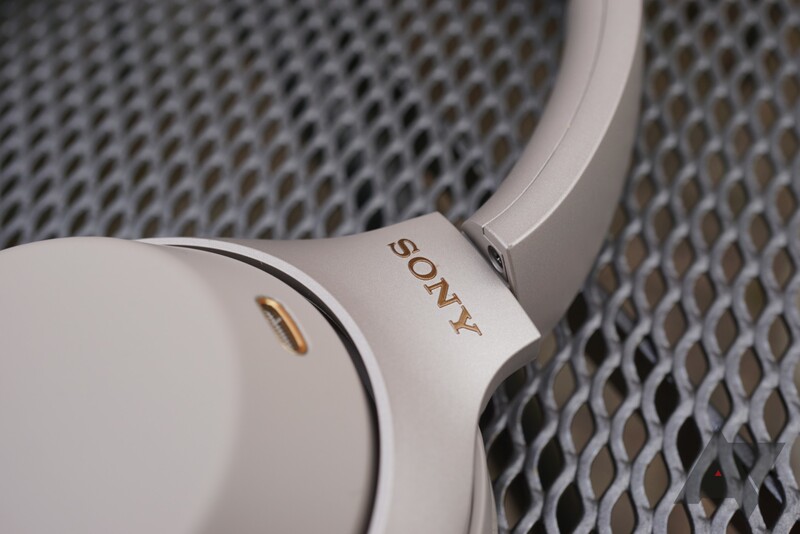 It is worth noting, however, that Sony offers a lot more noise cancellation adjustability than Bose. Whereas there are only three ANC settings on the QC35 II (high, low, and off), Sony uses a slider with 20 different stops. 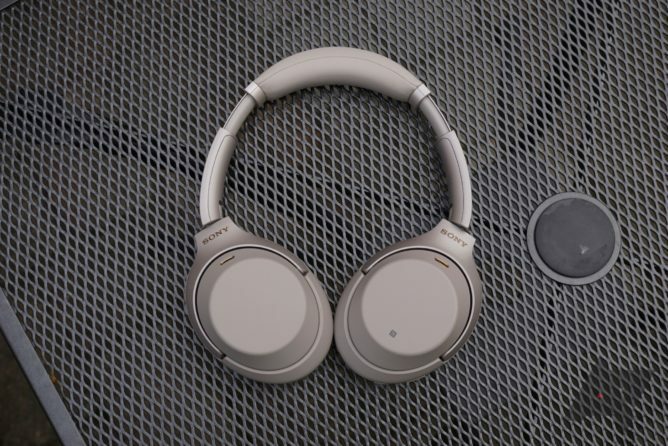 There’s also something called Adaptive Sound Control, which allows you to adjust the noise cancellation with the same slider based on four conditions: Staying, Walking, Running, and Transport. When the headphones detect that you’ve started walking or that you’ve sat down in a car, it’ll tweak the noise cancellation level to your liking. This may have been a good idea in theory, but I found the lag between adjustments to make it more of a gimmick than anything useful. “Noise Canceling Optimizer” is an interesting option, allowing the headphones to adjust to you and even the atmospheric pressure. For instance, if you’re on a plane, you can have the headphones re-optimize to better suit the pressure at 40,000 feet in the air. I only remembered to try this out when the plane was descending, at which point it re-optimized the pressure to 0.9 atm from 1.0 atm, and I wasn’t able to detect any noticeable difference. left: Moving where the sound comes from. right: The rest of the settings. Yes. 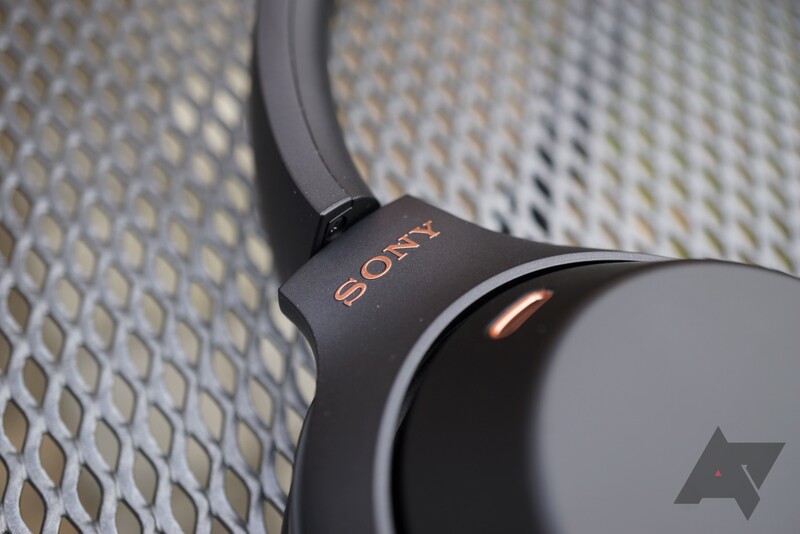 The Sony WH-1000XM3 may be expensive, but it earns the right to be. It looks good, sounds amazing, and its active noise cancellation can transform even the noisiest of environments into a library. The comfort it offers means that you’ll be able to keep wearing them for hours, which is fine thanks to the lengthy 30-hour battery life. And when it does come time to recharge, the USB Type-C port can get the headphones back up and running quickly. My only real complaint is with the finicky touch controls — I like the concept, but the missed taps and swipes, as well as mysterious behavior in the cold, can get a bit annoying. Although the 1000XM3 is the king for now, things could change in the near future. The QC35 II is due for a refresh soon, given that it’s nearly identical to the QC35, which was introduced two and a half years ago. 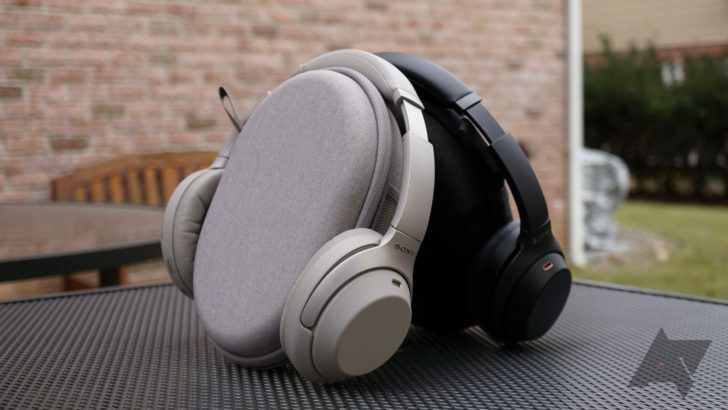 Plus, this past week saw two new competitors announced: the Jabra Elite 85h and the Audio-Technica ATH-ANC900BT, both of which are priced $50 lower than the 1000XM3 at $299. We look forward to checking both of those out when review units are made available. If you’re looking for a great all-around set of noise-cancelling headphones and have the coin to spare. If you don’t want to deal with sometimes-problematic touch controls or want to see what competitors have to offer.